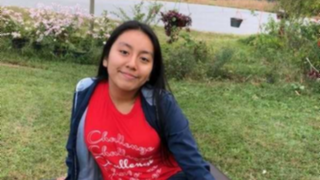 On December 9, a funeral was held for Hania Aguilar, a 13-year-old girl who was abducted outside her North Carolina home and later found dead. Aguilar’s father couldn’t attend because he was denied a visa by the U.S. Embassy in Guatemala City. Noé Aguilar, a Guatemalan business owner, travelled to the embassy last week in order to obtain expedited approval to fly into the U.S. for the funeral. He was denied on the spot because authorities believed he “lacked strong ties to Guatemala” and posed the risk of not returning after the funeral, according to The New York Times. While Hania’s grandfather and aunt received visas, other family members reportedly did not. Though North Carolina Governor Roy Cooper wrote a letter to the American ambassador to Guatemala, Luis E. Arreaga, on Aguilar’s behalf, the decision wasn’t reversed. Hania Aguilar was sitting in an idling car in her driveway before school on November 5 when she was abducted. Her body was found on November 28. Just hours before the funeral, North Carolina police charged Michael Ray McLellan in her death along with 10 other felonies.